Minister Server Tavares – “The Hip Hop Life Coach”, has been called, “a dynamic Hip Hop leader with the spiritual conviction of Rev. Martin Luther King Jr.; the motivational skills of Les Brown and the life coaching style of Phil Jackson!” A truly committed leader; he has spent over 25 years dedicated to the development, growth and preservation of Hip Hop culture. After graduating from the Barbara King School of Ministry School in 2003, he was named as a spiritual advisor of “The Teacha – KRS-One”, and was appointed by him as Lead Minister and National Organizer with the Temple of Hip Hop movement. 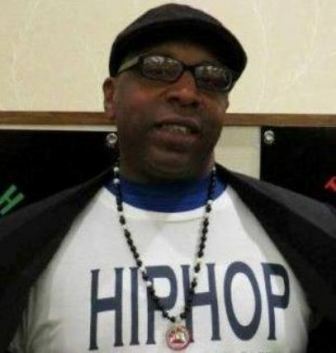 Minister Server works as an advisor with the Universal Zulu Nation and several other Hip Hop organizations, he has lectured on the spiritual meaning, purpose and importance of Hip Hop culture at several schools, colleges and universities around the country. Minister Server is the founder of Conscious Consulting Group, where he uses his skills as a Life Coach, Consultant, Motivational Speaker and Facilitator to work with individuals and organizations to “enlighten, inspire and empower” them to live their divine purpose! He believes Hip Hop is a Higher Infinite Power Healing Our People and teaches it as lie-strategies for self-identification, self-improvement and self-empowerment, which leads to positive social change! He has worked with Nation Time Syndicate, Inc.; a faith-based Hip Hop collective of artists, organizers, teachers, counselors and businesses in Atlanta, GA, since 1992, where he has utilized his skills as a writer, photographer, organizer, deejay, MC/Host, activist, consultant, motivational speaker and currently, the Executive Director. Minister Server is the former co-host of three radio shows on WRFG 89.3FM in Atlanta, GA: “Beatz & Lyrics”; “The Conscious Zone”, both specialized in progressive Hip Hop music with uplifting messages and “Tu Wa Moja”, a spiritual Hip Hop talk show for advice, guidance and insights on various topics. He won the 2009 Atlanta Chozen Awards for “Motivator of the Year”, he is a spiritual and intellectual contributor to “The Gospel Of Hip Hop – The First Instrument” book by KRS-One and the international Hip Hop community is anticipating the release of Minister Server’s first book, “Food For The Spirit: Hiphop Life Suggestions”, which he shares spiritual lessons, personal experiences and practical advice about living your divine purpose through a progressive, positive and productive Hip Hop lifestyle. He is a divorced single dad, he currently resides in Atlanta, GA.
HIP HOP Kulture… Ourstory Beyond Entertainment – This interactive lecture, discusses the political, cultural and musical aspects of Hip Hop history. Not only the who, where, and when of the Hip Hop culture, also its significance of how it affects today’s Hip Hop culture and the possibilities for the future of Hip Hop culture. The Hip Hop Declaration of Peace (HDOP) – This interactive lecture, discusses the details of the 18 principles of the HDOP, which was presented to the United Nations by several Hip Hop pioneers, leaders and organizations on May 16, 2001, to establish Hip Hop as an “International Culture of Peace and Prosperity”. HIPHOP’s Spiritual Meaning and Purpose– This interactive lecture, enlightens people about various aspects of Hip Hop and highlights the spiritual meaning and purpose for Hip Hop culture. It teaches people how to activate a Higher Infinite Power Healing Our People through life-strategies for self-identification; self-improvement and self-empowerment which leads to positive social change. It also shows how people are using the elements of Hip Hop culture to express themselves and fulfill their divine purpose. Victory Over the Streets– This interactive lecture, inspires people to build character, discipline and self-esteem by teaching life-skills that show how to turn the obstacles and temptations into positive results that will help people to achieve victory over negative circumstances, conditions and people to experience a life of health, love, awareness, wealth, peace and prosperity. Bridging the Gap– This interactive lecture, shows the connection of Hip Hop culture to previous generations. It gives parents and other concerned adults an opportunity to understand what Hip Hop culture is, its influence and how its building on the foundation that goes back to ancient times. It helps people to relate to youth and to begin an open, honest dialogue about why Hip Hop is important to them. The Refinitions – This interactive lecture, discusses the re-defined and expanded definitions of the traditional four elements to include ten elements of Hip Hop culture and the opportunities for the future of Hip Hop culture. The M.A.S.S. Movement – This interactive lecture, discusses how the Ministry, Archive, School and Society movement in Hip Hop culture works and how each department can be utilized to affect positive changes in communities around the world.